Even though it was somewhat expected, hearing the words still came as a shock. ""My husband and I both got teary eyed," Lori Miller says of learning she would need a heart transplant because of a heart condition she'd had since birth. "It was scary." 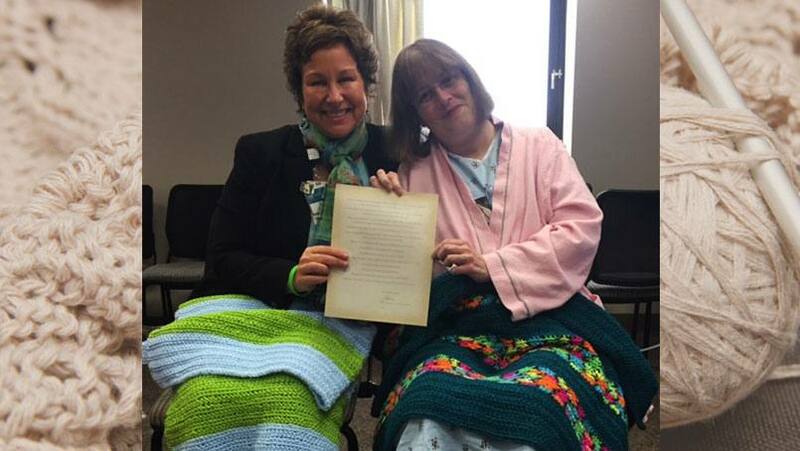 After taking some time to process this life-changing news, Lori came to Mayo Clinic's Rochester campus. She says her wait on the transplant list, which is now nearing five months, has been made "bearable" by the "outstanding" support system that is her care team. "They're all just awesome," she tells us. "Everybody at Mayo is so friendly. They never make me feel like I'm a burden." They've also routinely gone out of their way, Lori says, to make sure she has plenty of things on hand to help keep her body and her mind busy during her hospital stay. "I've been passing the time by walking around the floor as much as I can every day and doing things like puzzles, word finds, and adult coloring books," she says. "One of my transplant doctors actually went out and bought me some gel coloring pens so I could use those, too. So it's not like they just come into your room, look at you, and then walk away. You feel that they truly do care about you as a patient and a person. That's been a huge help to me." Something else that's been a "huge help" is busying herself making prayer shawls. "When I first got admitted, I was crocheting some scarves and other things like that to keep myself busy, and my social worker, Danielle, asked if I'd ever heard of a prayer shawl," Lori tells us. "I hadn't, and so she told me about them and said they give them out to the families of organ donors. I thought that was pretty cool." Soon, she'd finished two shawls and wanted to do more. "If I was going to donate, I was going to donate big, so from January to March of this year I made 10 of them. And I'm going to keep making them until I get my transplant," she tells us. Her hope is that the shawls will bring a little warmth and comfort to the families whose loved ones have given the gift of organ donation. "The shawls are obviously not going to bring back their family members, but I wanted to do something to show these families that they're heroes to me," she says. "Until you meet a transplant patient, you have no idea what organ donation can mean to them and how much it can affect their life." For information on becoming an organ donation hero yourself (if you're not already), click here. Then, share your comments below before sharing this story with others using the handy social media tools atop this page.